Our Goals The School Board is committed to excellence and self-evaluation and believes that Yazoo County Schools exist to meet the educational needs of students. It is, therefore, important that citizens may express their expectations of the schools. The Board encourages students, parents, teachers, and other community members to participate in educational planning for the district. ? Our Mission Yazoo County School District recognizes that each child is an individual; that all children are creative; that all children need to succeed. Therefore, Yazoo County Schools respect the individual needs of children and emphasize the social, emotional, physical and intellectual development of each child. 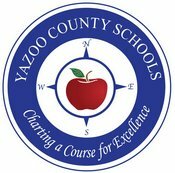 Our Vision Yazoo County School District is a student-oriented school district that focuses on the whole child. We promote a partnership between students, educators, parents, and community to achieve our goals of academic excellence, character development, technological proficiency, and preparing students for the transition to higher learning.